Sarah is the regional Director (Middle East) of CNC Communications & Network Consulting. 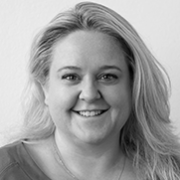 Sarah is a seasoned communications professional with extensive international experience in organisational and personal development, regional talent acquisition and brand reputation/communication. British by birth, her ‘home’ has been the United Arab Emirates since 2006. She has also lived in France, Morocco and Hong Kong. Sarah is passionate about communications influencing better outcomes for our society and environment. She is multilingual and holds postgraduate qualifications in marketing and corporate governance.